We’re on a mission to permanently break the cycle of poverty for our most vulnerable neighbors: low-income families, students, veterans, and the homeless. That means tackling the big problems. The ones people think can’t be solved. The ones that require leaders across sectors to unite and design groundbreaking solutions to our biggest problems. And by focusing on education, housing, and economic mobility, we can attack poverty at its roots to ensure better lives for all Angelenos. Real and sustaining change requires more than money. By focusing on local, state, and national public policy, we fight poverty’s root causes through the systems that sustain them. We led the fight that resulted in nearly $5 billion in civic funds being dedicated to solutions to ending poverty. 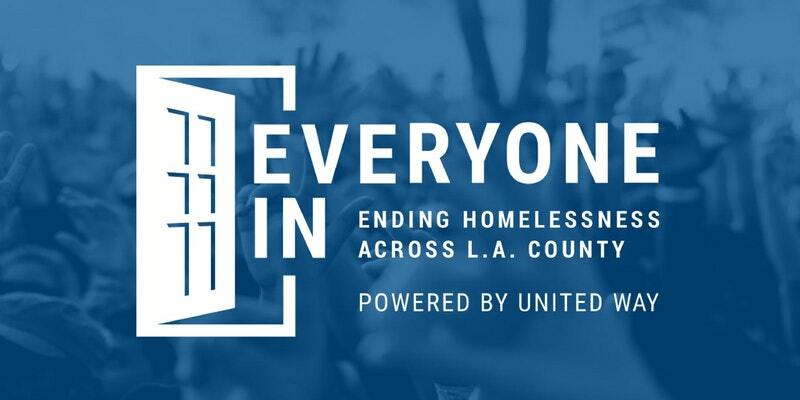 Housing Works is an organization that seeks to provide the homeless population in Los Angeles with housing in a respectable, environmentally conscious and affordable way. Their projects include MIST [Mobile Integrated Service Team], Scattered Site Housing, Project based housing, and Empowerment works. Utilizing these projects, 98% of the individuals housed by the organization remain housed. GET INVOLVED: Participate in upcoming events. Monday Night Mission | The Shower of Hope works each night Monday – Friday and administers food to 200 people on Skid Row, as well as collecting and passing out clothing. They aim to show residents of Skid Row that they are not alone, and they are not forgotten by the rest of Los Angeles. Their latest project, The Shower Of Hope, provides a portable shower on wheels. Six days a week, volunteers provide showers, meals, and hygiene products to the homeless population in several locations throughout Los Angeles. LA on Cloud9 is dedicated to the homeless community and their animals. They provide essentials and resources, such as hygiene items, food, clothing, blankets, shoes and more. They rely entirely on donations to serve the homeless population throughout the city of Los Angeles. GET INVOLVED: Donate your gently used items, clothing, & food. Inner City Law Center is currently the only provider of legal services on Skid Row in downtown Los Angeles. They have a staff of 55 who works with poor families, immigrants, people living with HIV/AIDS or are disabled, and veterans. They are known for their expertise in housing issues, veteran’s benefits and homeless prevention. GET INVOLVED: For training, walking tours, pro bono attorneys, & more. Western Center on Law & Poverty fights for justice and system-wide change to secure housing, health care, racial justice, and a safety net for the low incomed population in California. They help provide solutions for clients through litigation, legislative and policy advocacy, technical assistance, and legal support for the state’s legal aid programs. California’s oldest and largest legal services support center. GET INVOLVED: Fellowships, Internships, & Volunteering.